Nick has been playing music for over 30 years. 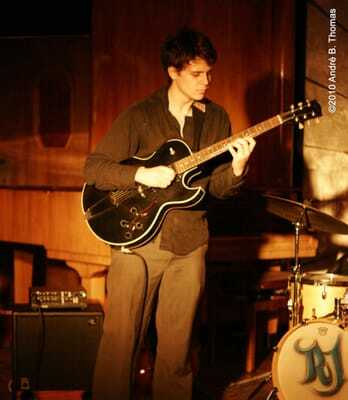 Nick began his studies under Dr. James T. Lidgett, focusing on classical, jazz and contemporary music. Soon after his initial studies, He began traveling to the southern United States to study with traditional American musicians such as John Jackson, John Cephas, Nat Reese, Pat Donahue and Steve James, and in the process he formed a lifelong love of traditional American music and a passion for early guitar styles. Nick completed a graduate thesis focusing on American 20th century music at Wayne State University in 2002. While at WSU Nick received the John Pantolao Scholarship, The Music Study Club Scholarship, and the Graduate Professional Scholarship. As a performer, Nick has worked extensively as a solo and ensemble player on acoustic/electric guitar, banjo, mandolin, ukulele and and as a vocalist. He has released over 12 full length albums as a solo artist and with several ensembles. His solo acoustic guitar albums are recognized as major works in the American Primitive guitar canon. He tours locally, nationally and internationally as both a performer as well as an educator. A professional music educator for over 20 years, Nick has owned and operated Orion Music Studio since 2000. The studio continues to be recognized and praised for its dedication to music and individualized, one on one instruction. Janet has been a music professional for over 12 years. Performing and teaching both flute and piano in small and large ensembles at private and public events, Janet brings her professional approach, gentle nature, and bright spirit to every occasion. Adept at teaching all ages, Janet is particularly gifted at helping the youngest of students start of on the right path. As a mother of two Janet knows that it takes a special set of skills to gently nudge little ones in the right direction while at the same time creating a fun learning experience. Her ability to bring out the best in even the youngest musicians is a gift. Janet is also a teaching member of the Tiny Tunes music program, teaches preschool classes at her church, accompanies the children’s singing class and is an active a fervent supporter of MADD. Lisa Clarke grew up in Imlay City, Michigan, where she began studying both violin and piano at the age of four. As she grew older she became actively involved with the Flint Institutes of Music. She played in the Flint Youth Symphony, the Dort Honors String Quartet, and was the two-time winner of the Dort String Scholarship. Lisa graduated with a degree in string pedagogy from Maranatha Baptist University in 2009 under the tutelage of Betsy Pabon. 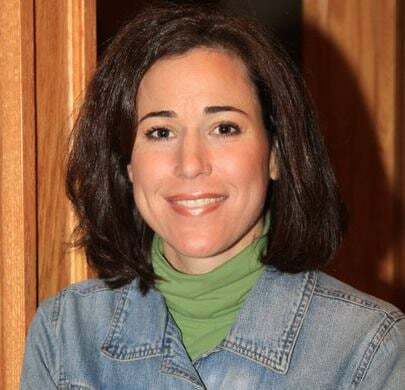 After graduation, Lisa moved to Schaumburg, Illinois, where she was the head of the string department at Schaumburg Christian School for two years. Lisa has taken Suzuki training courses with Wendy Azrak and Mark Mutter. She is the first violin in the Ambience String Quartet, and In addition to teaching and music making, she is an avid horseback rider and cyclist. Regardles off the students age, Lisa's goal is for each student to learn the violin to a proficient level. Lessons are goal oriented, crafted to each individual student, and focus on technique as well as musicality. Jennie is a singer, songwriter, and multi-instrumentalist based in Detroit, Michigan. She has performed extensively in Europe and The United States performing a wide range of musical styles, including folk, pop, choral, and new music. Classically trained in both guitar and voice, she earned her BA in Performing Arts from Antioch College in 2001. Within this program she spent three months in Appalachia studying the music of the region, which encouraged her love of traditional music. With 15 years teaching experience in music, songwriting, and theatre arts, Jennie guides each individual student to fuel their creativity with a strong back bone of technique, providing a language of music perfect for any genre. Under her guidance, her students have participated in MSVMA Honors Choir and Solo and Ensemble; Blue Lake International Choral Ensemble; have won vocal scholarships from Lake Orion School Distrcit, as well as achieved awards in local songwriting competitions. Jennie's current musical projects include Lac La Belle, an ensemble performing various styles of Americana, including original tunes influenced by the traditional American song cannon; back-up vocalist for the ten piece Nigerian pop group, Odu Afrobeat Orchestra; and a micro-tonal duo with pianist Clem Fortuna. She is also the principal vocalist in Matthew Barney and Jonathan Bepler's film, "Ancient Evenings," released in theaters in 2014. Katherine Fox is a professional multi-instrumentalist who has played in the Detroit metro area for countless musical productions. She has taught lessons on flute, clarinet and saxophone for over twelve years. Katherine’s students are leaders in their school band programs who achieve high ratings at MSBOA festivals. She has taught successful students from 5 to 85 who have had a wide range of backgrounds, exceptionalities, disabilities, and ability levels. Katherine specializes in seeing that every student reaches their fullest potential. Her lessons are goal based, positive, focused, and challenging. Katherine is an alumnus of Oakland University where she received her Bachelor of Music degrees in Clarinet Performance and Instrumental Music Education. While at Oakland, Katherine dedicated herself to extensive study of the clarinet, saxophone, and flute. Debbie’s philosophy is to meet each student where they are, regardless of age or ability, and in an environment of patience and encouragement, to help them grow as musicians. Currently pursuing a Bachelor of Arts Degree in Music from Oakland University, Debbie has over 17 years of experience in piano teaching, and has had the privilege of tutoring many students over the years, children and adults alike, and has taught many students from their first piano lesson all the way through their high school graduation. Debbie’s greatest joy as a teacher is to watch her students grow in self confidence and maturity as musicians, finding it gratifying to see even the most timid students face their fears, rise to the occasion, and perform before an audience. Debbie believes that learning to play an instrument plays a very important role in a child’s development. It requires discipline, hard work and dedication, but at the same time it is very enjoyable and gives the student a feeling of accomplishment and confidence, a confidence that carries over into other areas of their lives as well. Debbie is affiliated with the Michigan Federation of Music Clubs, and serves as the Chairman for the Rochester Festival Center. In March of each year several of Debbie’s students perform pieces before a judge to receive a critique and earn points toward trophies. It is a very positive experience for the students, and helps them to work toward a goal and achieve it. While the festival is optional, most students want to participate and do enjoy the experience and the trophies! Debbie’s students also participate in a recital in the Spring of each year to culminate another year of piano progress. Debbie’s greatest hope is that her students’ lives will be touched and changed through music. Believing that music is a Gift from God, to her it is very rewarding to be able to share that gift and love for music, and to be a part of each student’s musical journey. Danny started playing guitar at the age of nine. Studying under Nick Schillace for 8 years he covered styles as diverse as rock, blues, folk, jazz, fingerstyle, and classical guitar. At the age of 17, Danny began teaching at Orion Music Studio and enrolled at Wayne State University where he began studying Classical Guitar under Professor Brian Roberts. In his years at Wayne State University, Danny not only studied classical guitar, but also had a secondary focus in jazz guitar, and participated in chamber music, guitar ensembles, and choir. During his college career he received awards such as the Wayne State Academic Scholarship, The Joe Fava Award for Classical Guitar, and the Music Department Talent Scholarship two years in a row. His studies culminated in a Bachelors of Music in Guitar Performance in 2009. As an instrumentalist Danny performs all over Metro Detroit. He has performed in numerous musical theatre productions, as well as his work with the Detroit based band Odu Afrobeat Orchestra. He has played in such settings as the African World Festival, the Concert of Colors, and the Ford Community and Performing Arts Center, and Orchestra Hall. State University in 2013, under the instruction of professors Steve Carryer, Chris Collins, and Russ Miller. He has also studied with guitarist Chris Buzzelli at Bowling Green State University where he earned several "outstanding musician awards". He is in-demand as a guitar instructor and also performs regularly with his Jazz and Tonic Trio. He has played throughout metro Detroit at venues such as The Detroit Athletic Club, The Rattlesnake Club (Detroit, MI), The Michigan Jazz Festival, and at the Detroit Jazz Festival. 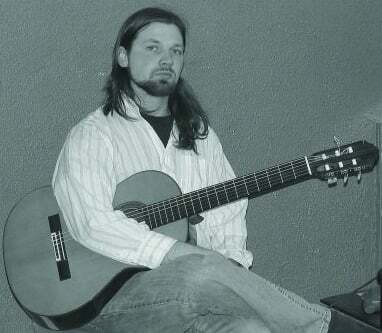 Marc is a classically trained guitarist that performs both as a soloist and for ensemble in a wide variety of styles. He graduated in 1996 from Schoolcraft College with an Associates degree in Music performance, and then, studying under the tutelage of Brian Roberts, went on to receive Bachelors of Music in Guitar Performance from Wayne State University in 2004. While at Wayne State and along the way Marc has performed and participated in several masterclasses with renowned artists William Kanengiser, John Holmquest, Philip Candelaria, Jason Vieaux, Scott Tennant, and Antigoni Goni. A music educator since 1993, Marc teaches a vast array of styles ranging from classical, jazz, rock, funk and blues, and has also completed the teacher requirements for Suzuki Guitar Books 1-a and 1-b. Several times a year he hosts a special “Student Jam Session” where his electric/acoustic guitar and bass students can participate in a live rehearsal and performance with professional musicians. Students get a chance to play in front of people as well as listen to themselves afterwards as each session is recorded. Many of Marc’s classical guitar and electric guitar students have went on to study further at the collegiate level, some achieving scholarships. His most recent student to pursue music academically is currently attending Berkley School of Music in Boston, and many more of his students have become full time professional musicians. Performing for hire, Marc chooses to cater to the needs of each performance rather than only rely upon current and standard repertoire. Besides playing solo, he is one half of the duo “Two Guitars” with fellow bassist/guitarist Ron Butzu. The group specializes in classical, jazz and pop styles for ceremonial, formal and casual functions. Marc lives in Livonia with his wife and son. Justin is a graduate from Oakland University, where he achieved a Bachelor’s degree of Music in Instrumental Performance in 2009. Through his studies at Oakland University he has become skilled in classical, jazz, and world percussion. He was the winner of the 2009 Oakland University Wind Symphony Concerto Competition, and was bestowed the 2009 Oakland University Matilda Award for “Outstanding Student in Instrumental Performance.” Justin was the acting Principal Percussionist for the Pontiac Oakland Symphony in the 2009 concert series. He competed in the World Steel Drum Competition in Trinidad, ranking in the top ten in two categories. Justin performs with a number of local orchestras, concert bands, and musical theater guilds, and is also member of a number of rock/jazz/blues/funk outfits performing around the metro-Detroit area. Justin has provided music instruction with Oakland University's Prep Division, and has enjoyed teaching at Orion Music since 2007.